Arch Rock, heath balds and cliff faces are some of the interesting geological rock formations you will see on this nature hike up the Alum Cave Bluffs trail. Nate Field narrates an introduction to mountain biking and tells us what you need to have a fun and safe ride. 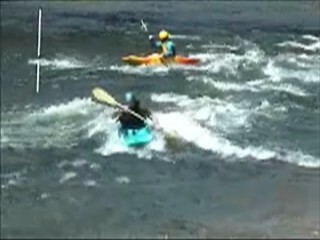 We went down to the Nantahala River near Bryson City, NC and caught these kayakers honing their skills. Everyone can enjoy the Great Smoky Mountains National Park! 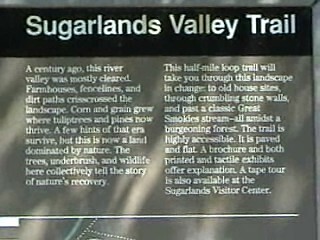 This half mile paved trail is self guiding and fully accessible. There's no better way to spend your vacation than relaxing afternoon trout fishing in the cool streams of the Great Smoky Mountains.